Escape to New Lagos, 2081 A.D.
A city so crowded that it is impossible for one to find himself without a mirror and some purposeful soul-searching. 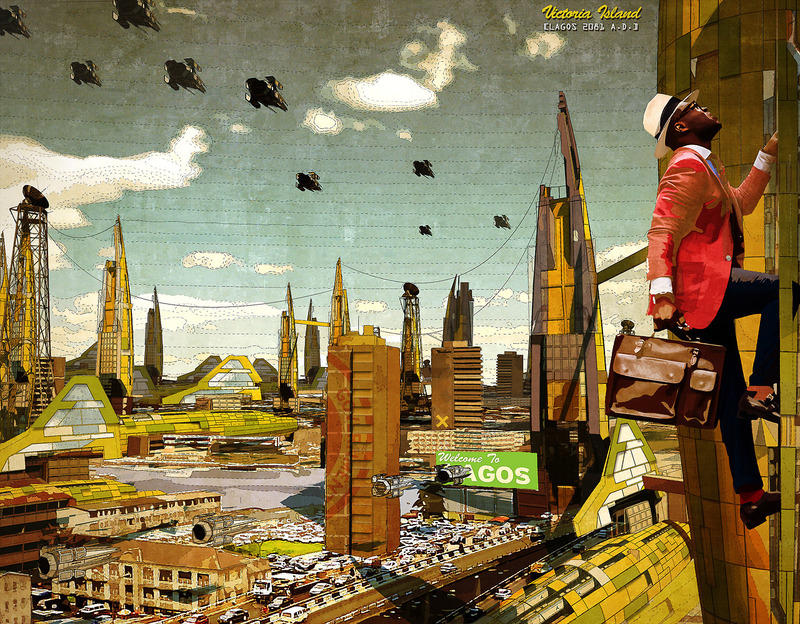 Like a modern day Atlantis, New Lagos became an oasis in a desert of global despondence. On top of the bomb-blast rubble, and in the wake of the political pariahs’ exile, its people dared to build something beautiful…and they dared to build it so high, the whole world would see it and stare. Once, the fishermen of Makoko village would feed their families with what their hands were able to pull from the water at dawn. They built homes on top of the water; an African Venice created from sheer resolve and necessity. It was within one of these dark recesses that a tailor desperately hoping to keep his business open took in an unlikely apprentice. A young boy who would later become the man that they all whispered about. On the day of the Great Crude Explosion, the ground parted, erupting a rich blackness that crept over the landscape. Barefoot children whose parents hadn’t been able to afford shoes found themselves ankle deep in more wealth than any could have conceived. Far away, in foreign boardrooms, fattened oil executives whispered amongst themselves. This was a land of a hundred dialects, but there would be no Babel. The people spoke in one voice, and they spoke of freedom. New Lagos was born. Later, few remembered what his real name was; or what he actually looked like. There are few accurate accounts of his sacrifice. However he came to his end, all readily conceded that it was his end that ushered Lagos, and ultimately Nigeria, to its new beginning. 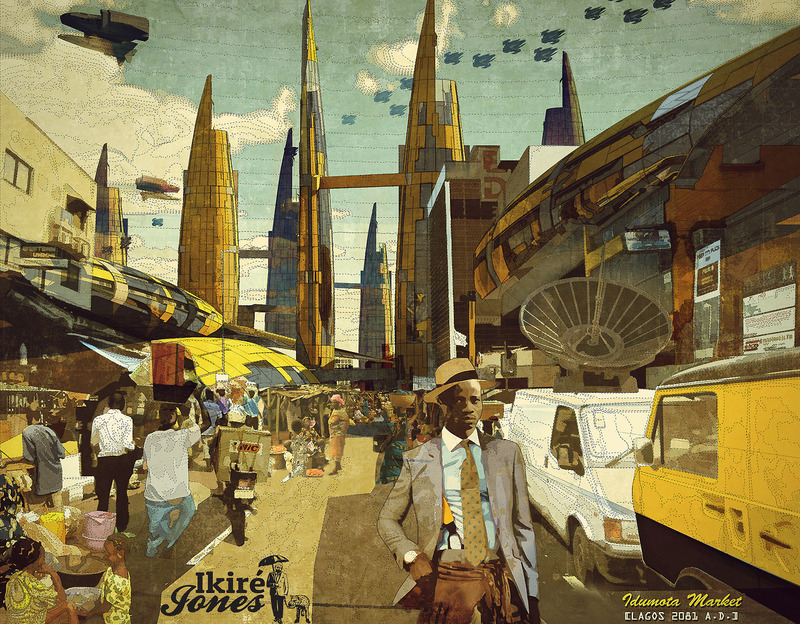 When they spoke of hope, the future, or merely spoke of a child with too much ambition for his size, they would speak fondly of him: IkiréJones. 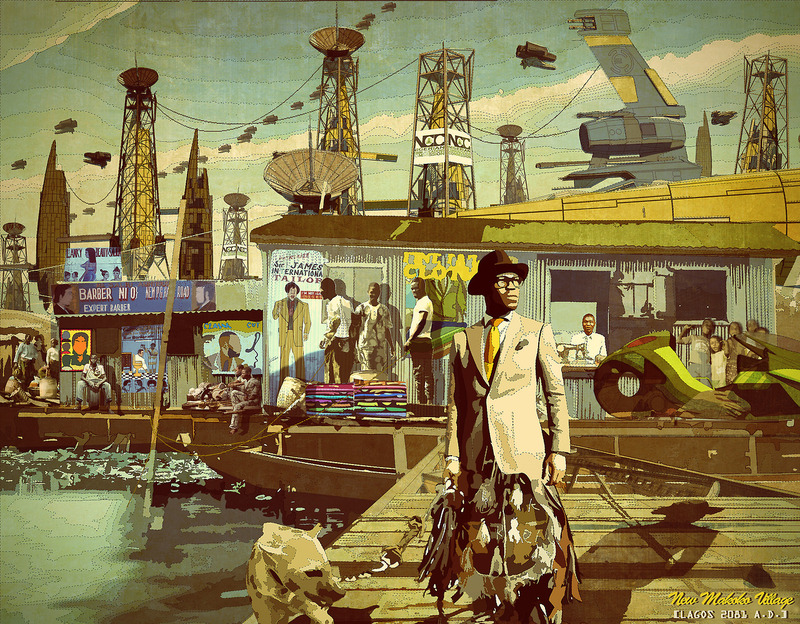 What a pleasure it was to find these incredible images on one of our favourite blogs AfroFuturist Affair. 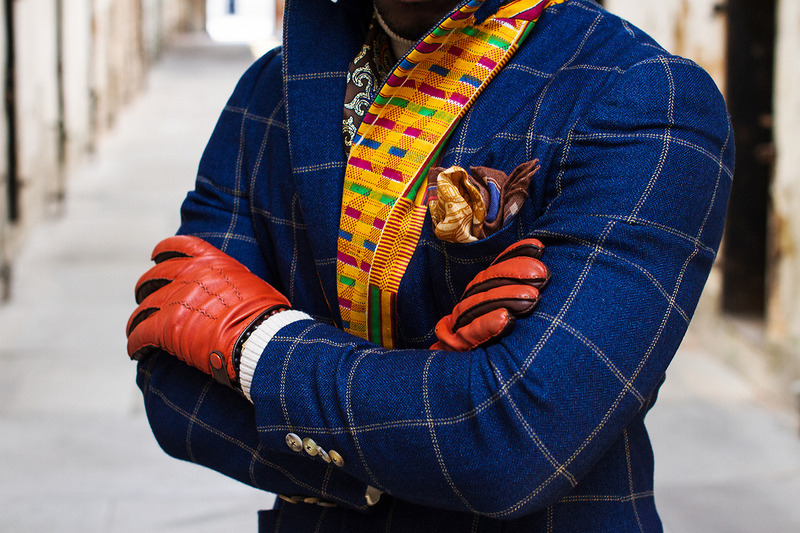 Escape to New Lagos is a collaboration between Vigilism (Lekan Jeyifous, a Nigerian-born, Brooklyn-based architect, artist and designer) and menswear designer Wale Oyejide. 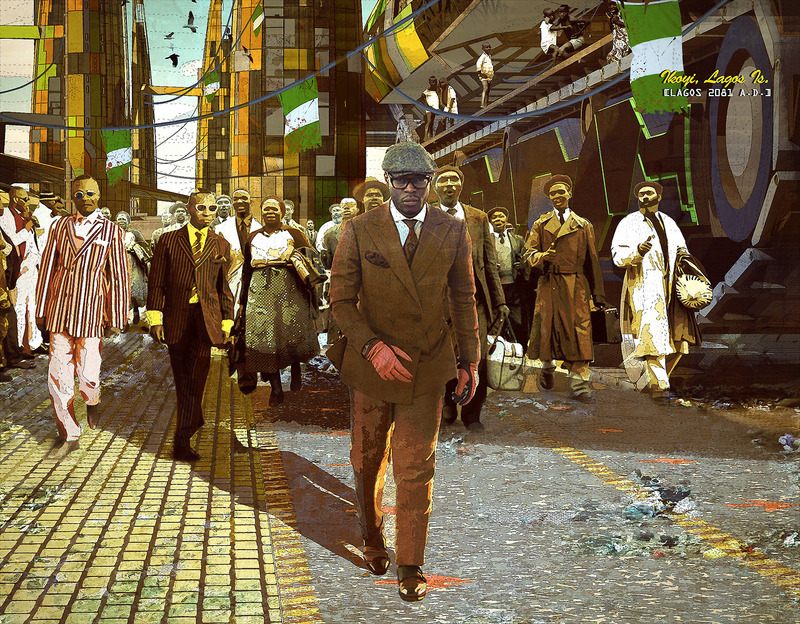 This set of illustrated scenes are part of a fashion campaign for Oyejide’s Ikiré Jones Menswear line. Oyejide is also a musician and a lawyer by profession.